Give as a gift for the holidays and an ill child receives the same!! 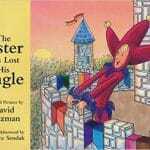 Buy David Saltzman’s illustrated children’s book The Jester Has Lost His Jingle or Jester & Pharley Doll on their website and The Jester & Pharley Phund will match it and give to a child at a New England Hospital. Founded in 2000, the non-profit The Jester & Pharley Phund developed from the overwhelming national response to David Saltzman’s illustrated children’s book The Jester Has Lost His Jingle. This year, The Jester celebrates its 22nd anniversary, with more than 330,000 books in circulation. 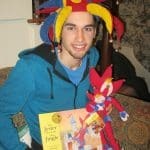 The Jester was David’s senior project at Yale. 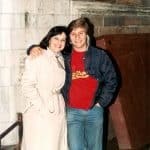 Before his death from cancer at 22 in 1990, his family promised him that his book would be published as he envisioned it and that its universal message of hope, laughter and self-empowerment would be shared with children coping with cancer and other illness. 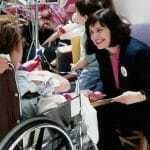 The Jester & Pharley PHund has received many awards and honors for its programs benefiting ill children and literacy. Neil Fachon~ The Student Leadership Training Program (SLTP) has used The Jester to inspire teens since it began over 25 years ago. Neil was one of several SLTP alumni who volunteered to run the Phund’s Reading to Give Program in the East Greenwich Schools. Neil planned meetings, worked on the paperwork and helped thread the beaded jingle bells given to each participant as a way to keep a reminder of the Jester and his joyful spirit. Neil added funny voices for Pharley to make the story come alive for his young listeners. Neil helped raise money for the gift he never knew would one day inspire him to fight cancer himself. Neil passed away from cancer this past year at age 20.